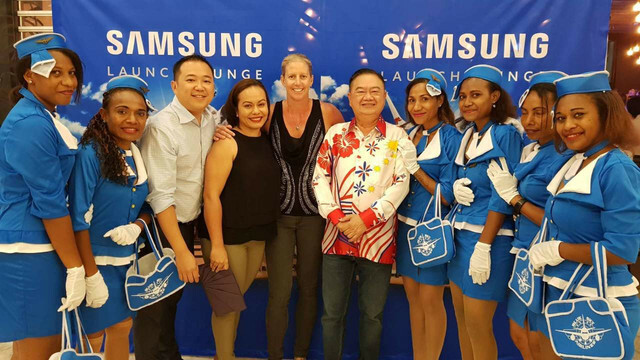 The launching event happened in Monsoon Bar Stanley Hotel, attended by business leaders and key personalities in Port Moresby. The new Samsung Galaxy S9 & S9+ is set to reimagine the overall camera experience of users. Capturing stunning photos in any light condition has never been this easy, thanks to built-in dual aperture lens that adapts like the human eye, easily switching between any lighting condition making it possible to high-quality photos day or night. Super Slow-mo: Make everyday moments epic with dynamic, slow-motion video that captures 960 frames per second. AR Emoji: Create an Augmented Reality version of yourself simply by taking a selfie. Then share your real-life feelings as emoji stickers and videos. Bixby: Samsung’s intelligence platform, integrated into the camera, uses augmented reality and deep learning technologies to provide helpful information about a user’s surroundings.3 With real-time object detection and recognition, Bixby instantly generates information directly on top of the image that the camera is pointing at. Users can translate foreign languages and currency in real time with Live Translation, learn about their surroundings. Copyright © 2014. All Rights Reserved PNG Namba Wan Trophy Limited.